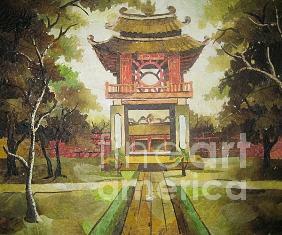 Khue Van Cac The Gate Of The First University Of Vietnam Since Early 19th Century is a painting by Tran Thu Thuy which was uploaded on January 14th, 2010. There are no comments for Khue Van Cac The Gate Of The First University Of Vietnam Since Early 19th Century. Click here to post the first comment.